Regional sales tracking firms like the NPD Group, Media Creates and others are often the only regular source for getting a picture of what people are paying to play in the video game market. As the balance between digital distribution and traditional brick and mortar retail even out, it’s become more difficult to accurately portray just what people like to play besides Call of Duty. It’s surprising then that Nintendo, one of gaming’s most secretive companies, revealed the top twenty bestselling video games from around the world during its recent earnings report. Nintendo compiled data from those previously listed research firms as well as Gfk International. With breakdowns for the US, Europe, and Japan, the lists show not just what’s performed well this year, but helps gauge what types of games console publishers will invest in over the next few years as the transition to next-gen consoles begins in earnest. The tops of the charts aren’t surprising based on how the industry’s past half decade. 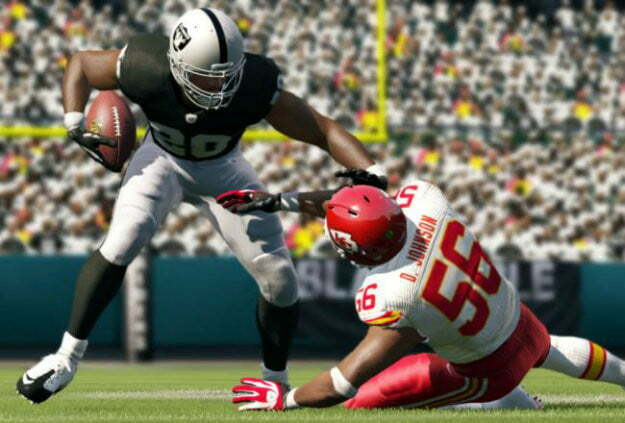 The top two best-selling video games in the United States between January and September 2012 were Madden NFL 13 for the Xbox 360 and PlayStation 3. Electronic Arts also dominated Europe (Gfk tracks fourteen countries in the region), taking the top three spots with FIFA 13 on PS3 and Xbox 360 in first and second respectively with FIFA 12 on PS3 taking third. Nintendo dominated Japan, with Pokémon Black 2/White 2 taking the top two slots. It’s deeper in the list that more revealing statistics emerge. Call of Duty: Modern Warfare 3, for example, was only the sixth best-selling game across 2012, beaten out by competitors like Mass Effect 3 and even Borderlands 2 (fifth and third respectively.) This means that while the sales tail on Call of Duty remains strong, it’s diminished from highs in 2010 with Call of Duty: Black Ops and Call of Duty: Modern Warfare 2, which dominated for months after their respective releases. The competitive shooting games was not as favored over the first nine months of the year as co-operative, campaign-centric shooters like Mass Effect and Borderlands. The rest of the list bears this out as well. Tom Clancy’s Ghost Recon: Future Soldier came in at eleventh, where EA’s Battlefield 3 came in at fourteenth. Future Soldier was a May release, and it does sport competitive modes, but even that example supports the POV that multiplayer tastes in the US are shifting. What of Europe? Modern Warfare 3, Battlefield 3, Uncharted 3, and Mass Effect 3 were on the European list, but that was it for shooters. Nintendo published titles like Super Mario 3D Land, Wii Party and others were far more common in the region, boding well for the Wii U. Gran Turismo 5 also took eighth in Europe, reaffirming the strength of that brand for Sony abroad. Japan was, again unsurprisingly, dominated by Nintendo and Square-Enix published games for handhelds, with three Capcom titles and two Namco Bandai titles sneaking in as well. How will the Mass Effect movie change under its new writer?